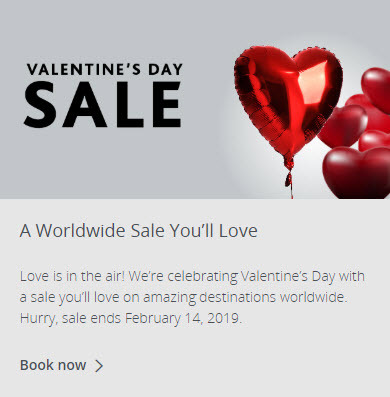 Air Canada is having a Valentine’s Day Worldwide Seat Sale. Love is in the air! Air Canada is celebrating Valentine’s Day with a sale you’ll love on amazing destinations worldwide. Hurry, sale ends February 14, 2019.